The Official Guide to Steinway Pianos is a compendium from the archives of renowned piano maker Steinway & Sons to encompass - for the first time - reference material and details from 16 decades of Steinway piano making in New York. 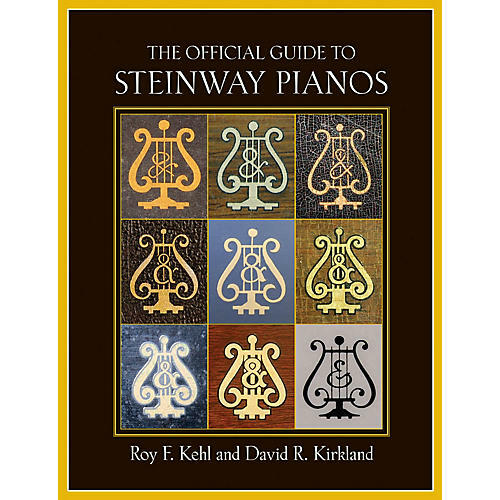 Thirty years of research and compilation by authors Roy F. Kehl and David R. Kirkland bring to light with thorough precision the production history of Steinway pianos. A family tree of Steinway production history provides in-depth, complete historical listings of every model produced and their characteristic details, with first/last serial numbers and production dates, individual scale studies for major models, highlights of important changes and events in Steinway piano production by serial number and date, a gallery of Steinway decalcomania by years, a table of Steinway patents, and tables of historic Steinway steel wire sizes. The Guide is an indispensable tool for piano technicians and dealers who need to determine the relationship of a particular Steinway piano within the historical framework of the company's overall production, as well as a means to help identify, establish the provenance of, and verify and preserve the originality of any given Steinway piano. Through compilation of pinpoint information, the Guide offers an accurate and fascinating resume of Steinway & Sons' ongoing production history.